KIIFB national seminar on Saturday will examine emerging trends in infrastructure financing. Industry experts will share their views on models suited to Kerala. Thiruvananthapuram, Aug 24: Representatives of major institutional investors, prominent industry experts, key financial sector regulators and policymakers will come together here on Saturday for a high-profile conclave that will examine an array of pertinent issues and emerging trends in public infrastructure financing. 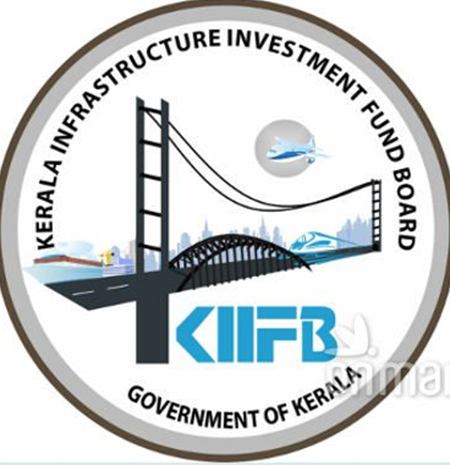 Organised by Kerala Infrastructure Investment Fund Board (KIIFB), the state’s nodal agency for funding major infrastructure projects, the national seminar – titled ‘Opportunities and Challenges in Public Infrastructure Financing’ – will feature discussions and talks on new avenues and emerging trends in infrastructure financing. Chief Minister Shri Pinarayi Vijayan will inaugurate the day-long seminar at the Hilton Garden Inn. Finance Minister Dr. Thomas Isaac will preside over the inaugural function. Shri Ajay Tyagi, Chairman, Securities and Exchanges Board of India (SEBI), will present the keynote address. KIIFB CEO and Additional Chief Secretary (Finance), Government of Kerala, Dr. K.M Abraham, will deliver the welcome address. “The career aspirations of today’s educated youth are different from generations past. Keralites now look for their children to be employed in next-generation industries and labour sectors. This requires enormous investment and we can’t resort to the standards used in other states to attract this level of investment. We will not dilute labour rights or environmental laws to bring in investments,” Dr Isaac said. “We can incentivise investment in Kerala by ensuring infrastructure facilities of global standards. To do this, there needs to be a strong improvement in the State’s financials. KIIFB is working under a mandate to mobilise funds from outside our budget provisions for the creation of infrastructure facilities based on the criteria set by SEBI and RBI. KIIFB is a decisive initiative towards the State’s continued development,” he added. In the first session that focuses on the challenges faced in large-scale land acquisition for infrastructure projects in India, Delhi Mumbai Industrial Corridor Development Corporation CEO and Managing Director Shri Alkesh Kumar Sharma will share his experience in handling the land acquisition process for one of the largest and most ambitious industrial projects. Shri Srikant Nagulapalli, former Commissioner of Andhra Pradesh Capital Region Development Authority, will speak about the unique land pooling model adopted for acquiring the land for Amaravati, the new capital of Andhra Pradesh. The second session will see Shri V.S. Senthil, Additional Chief Secretary (Planning and Economic Affairs), Government of Kerala, provide an overview of the role that capital markets can play in attracting a wider audience towards infrastructure financing. Shri S. Krishnan, Principal Secretary (Planning, Development and Special Initiatives), Government of Tamil Nadu, will share his state’s experience in attracting investments for infrastructure projects through capital markets. India Infrastructure Finance Company Limited (IIFCL) Chairman and Managing Director Shri Sanjeev Kaushik will speak on attracting institutional finance for infrastructure projects, while Shri Prakash Rao, from the National Investment and Infrastructure Fund, will speak on the use of sovereign wealth funds. The concluding session will feature a presentation by Dr. Abraham on land bonds and other new innovative instruments and structures proposed to be employed by KIIFB to raise funds for infrastructure projects. This will be followed by a panel discussion by industry experts on the regulatory framework that governs the issuance of land bonds and other hybrid instruments that are being proposed.